This unusual and beautiful bag can be used for makeup or even as a small clutch bag. 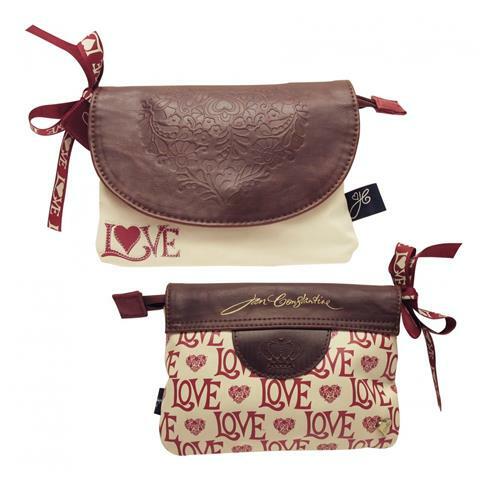 The front is cream faux leather with the word Love on one corner in red with a large embossed brown faux leather flap. The back of the bag is in cream with the word Love and the Romany heart in red. One end of the bag is tied with red Love ribbon and it can be fastened with a zip. An unusual bag to store special things!